Criteria: Financial need, self-help, College GPA, citizenship, community involvement, other activities, short essay, and letters of recommendation. Application Package: Completed application, copy of college transcript showing at least three full semesters of college credits, up to three letters of recommendation, three personal references, and a recent photo taken within the last six months. Completed application packages must be received by May 11, 2018. Note: Parents do not pay or help pay rent, tuition, or bills, nor do they provide housing. On a separate sheet(s) of paper, describe your involvement in extra-curricular activity (College, Community, Faith Community, Volunteer). Mark the separate page(s) as Section III. SECTION IV: On a separate sheet(s) of paper, and in less than 500 words, describe what the phrase “Service Above Self” means to you. Mark the separate page as Section IV. Up to three Letters of Recommendation (please do not include recommendation letters from relatives) may be attached to this application. Questions concerning the application process should be addressed to Katherine Logue at 254-776-2115 or e-mailed to office@wacorotary.org. Our Literacy Project for 2016-17 with the Waco-McLennan County Public Library. 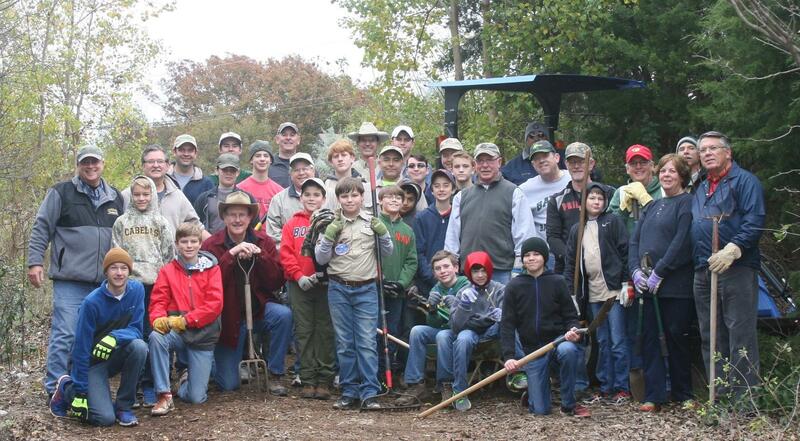 December 10: Scouts from Troop 308 and Waco Rotarians worked together to clear, repair and maintain a nature trail at the Carleen Bright Arboretum. Special thanks to Mercer Buchanan and John Dietz who tallied the ballots from the December 15 election. 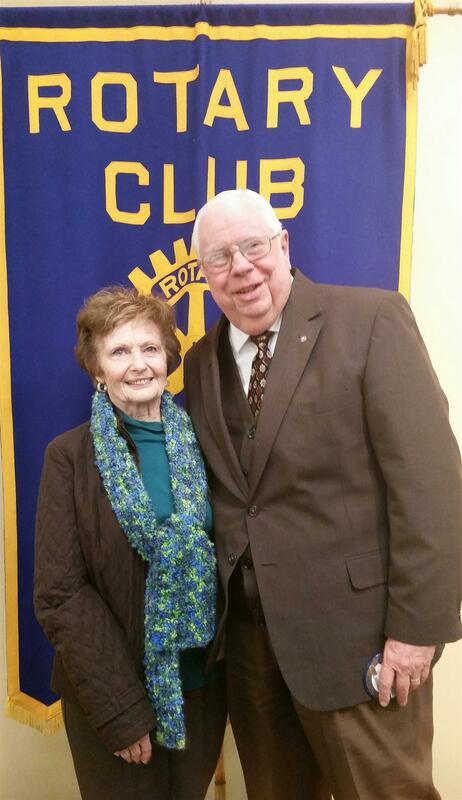 Dianne Sawyer and David Tekell were elected to begin three-years terms on July 1, 2015 for the 2015-16 Rotary year. Congratulations to you both! 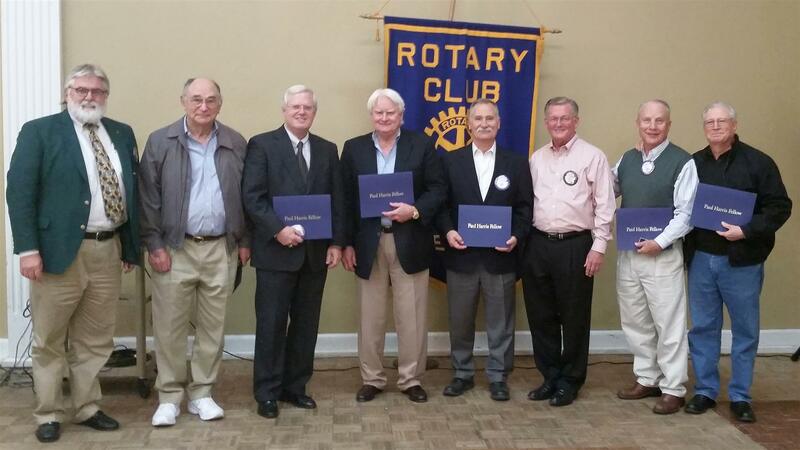 1965 was a very good year for Waco Rotary! 50 Years in Waco Rotary! 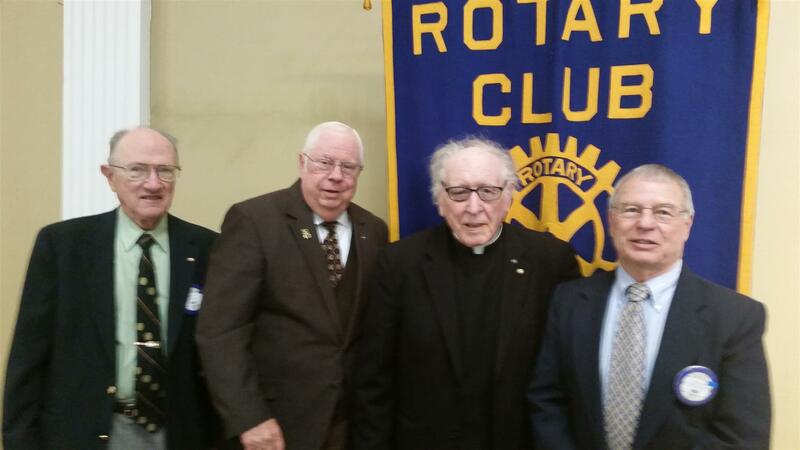 Noley Bice and Floyd Jensen have been faithful members of the Rotary Club of Waco for 50 years!! Both joined the club in 1964. 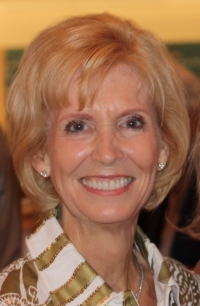 Noley served as Club President from 1977 to 1978. Both Floyd and Noley are Paul Harris Fellows. 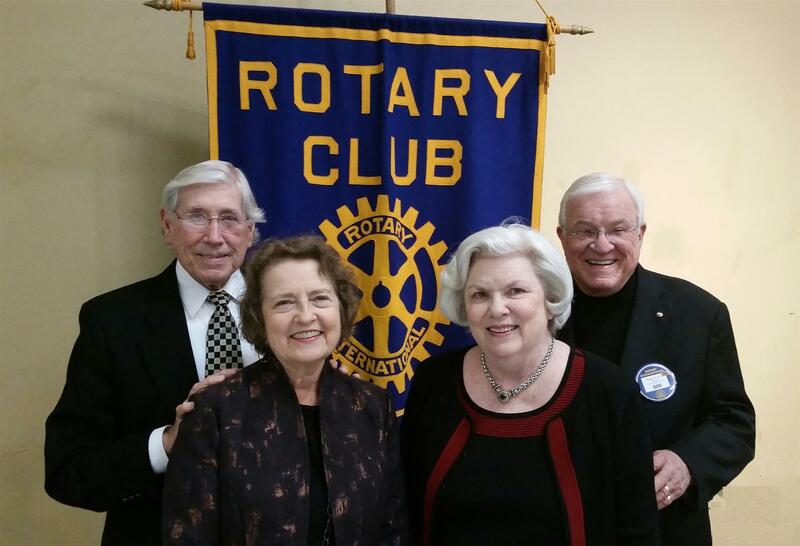 Carol Bice and Barbara Jensen joined us in celebrating their husbands' milestone in Rotary. 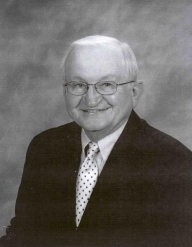 Waco Rotary member Garland Back passed away on May 31. 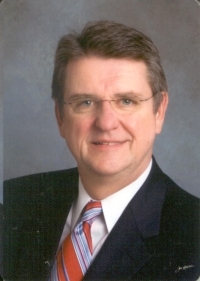 A Memorial Service will be held at 11 a.m., Monday June 9, at Austin Avenue Methodist Church. Our thoughts and prayers are with Garland's family. Congratulations New Paul Harris Fellows! Paul Harris Fellow recognition is given in appreciation to anyone who contributes $1,000 or more to the Annual Fund, Polio Plus Fund or World Fund. Multiple Paul Harris Fellows are recognized for each subsequent $1,000 cumulative contribution. 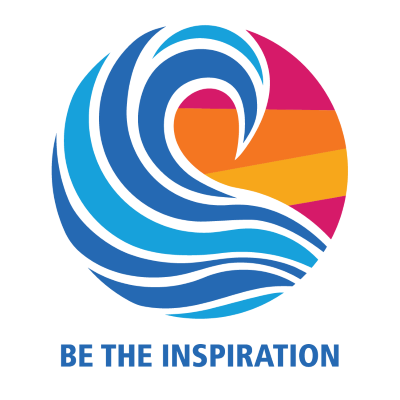 Thank you all for you service and contributions to Rotary! 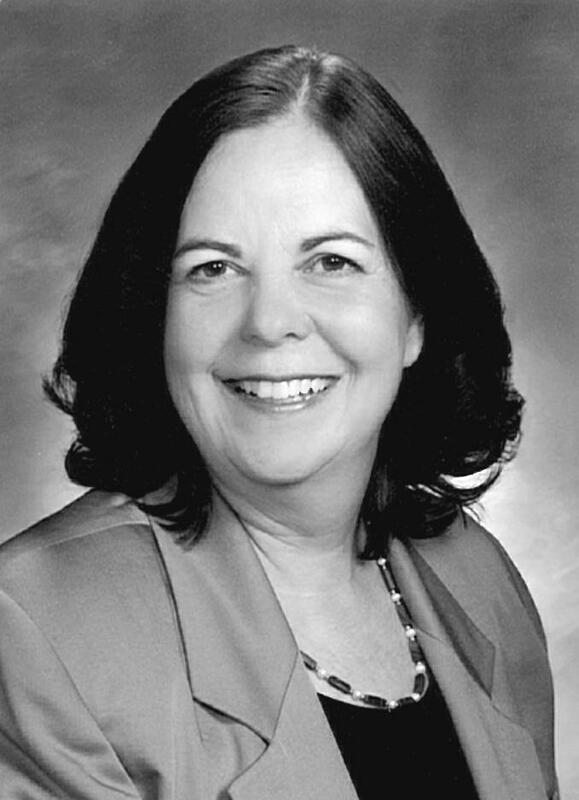 Ex-Pat Katherine Logue will return from her six-month sojourn in Scotland. Will she be wearing a kilt or perhaps speaking with a Scottish brogue? You'll want to attend the March 17 Rotary meeting to greet her and find out about her adventures. The votes are in. 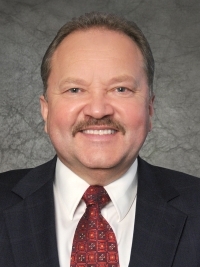 Rotarians Roland Goertz, Kay Metz and Elton Stuckly, Jr., have been elected to serve on the Rotary Club of Waco's Board of Directors. 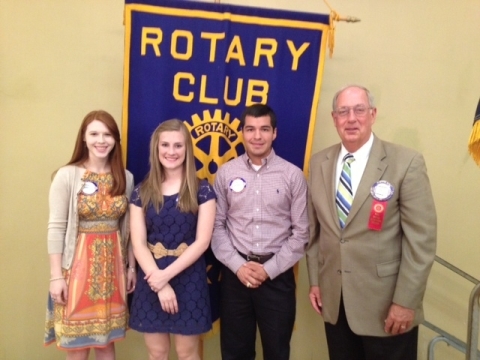 The Waco Rotary Club recognized its2013 Scholarship Award recipients at the Aug. 19 meeting. Scholarship recipients are juniors or seniors in college, permanent residents or McLennan County and must have resided in McLennan County for at least two consecutive years prior to the scholarship award. All five of our winners have impressive credentials, a number of significant achievements, and are involved in multiple extracurricular activities in the community, at church and with their education institutions. Rotary Global Grant recipient Stephanie Allen, a May 2013 Baylor graduate, was asked to speak to the Class of 2017 at Baylor Line Camp. Read her words of wisdom. 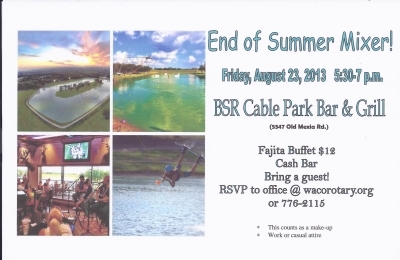 Waco Rotary will hold a social from 5:30-7 p.m. Friday, Aug. 23, at the BSR Cable Park Bar & Grill. 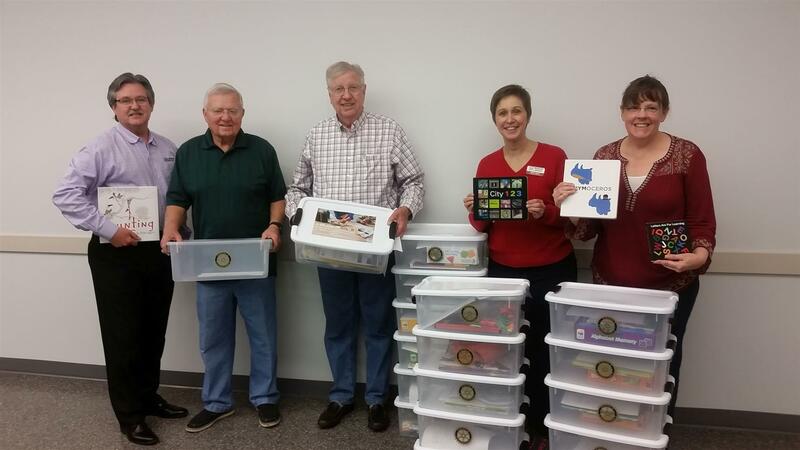 The Waco Rotary Club provided a $4,500 DAP grant for music education supplies to the Talitha Koum Institute to help its therapeutic mental health programs for young children. 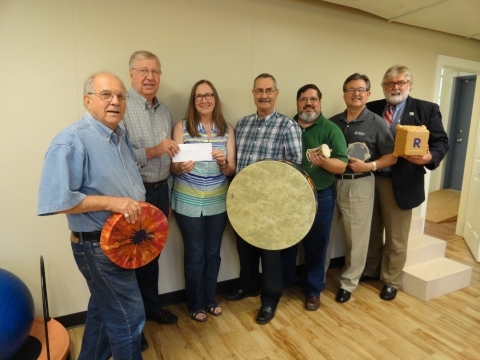 Pictured are Leonard Englander, Jim Newkham (chairman), Talitha Koum executive director Jan Wengler, Howard Gruetzner, James Karney, Evan Klaras, K. Paul Holt (representing the Waco Rotary Board). Not pictured Ken Krause. Waco Rotary welcomes Megan Henderson, executive director of the Waco Downtown Development Corporation, to its membership. Recent Baylor University graduate Stephanie Allen of Lake Jackson, Texas, and current graduate student Austin Cook-Lindsay of San Angelo, Texas, have been named 2013-2014 Rotary Foundation Global Grant Scholars, a new program that provides $30,000 scholarships to support students' graduate-level academic studies in areas that relate to Rotary's areas of focus around the world. Waco Rotary Club Celebrates 100 Years. 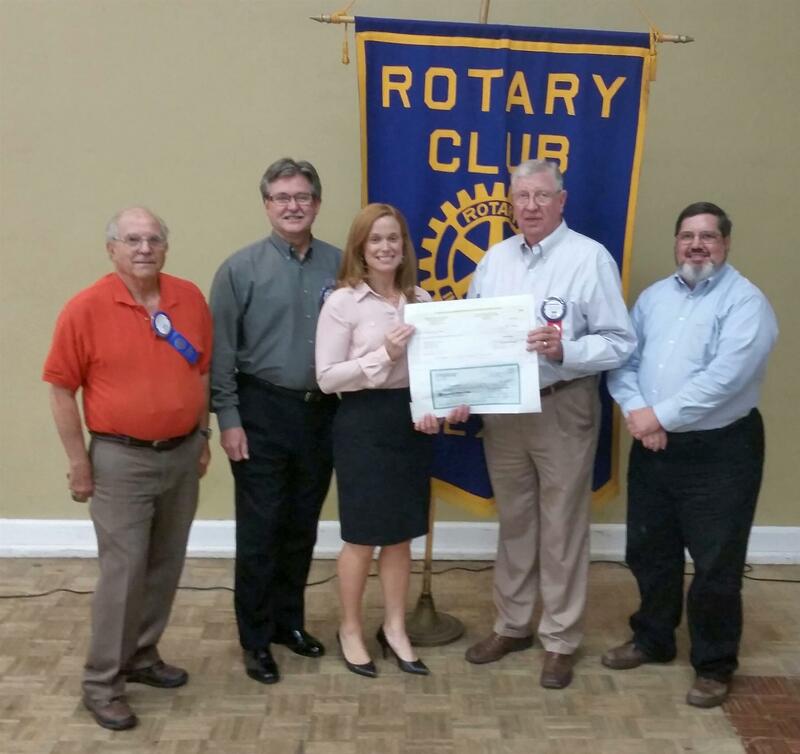 Rotary International commended the Waco Rotary club for 100 years of service and growth.